Colored and/or underlined words are HTML links. Click on them to see the linked posts/articles. Forwarding this and other posts to relatives and friends, especially those in the homeland, is greatly appreciated). To share, use all social media tools: email, blog, Google+, Tumblr, Twitter, Facebook, etc. THANKS!! Seriously speaking, I/we see, in the last two generations or so, that our values, our traditions, customs and communities have extremely disintegrated. What we have overall in our homeland is a moral malaise. And it will worsen or be reversed depending on how we as individuals in society act or do; in the latter our best to recover and work in accordance to the values we generally recognize as ethically "good." i.e. we as humans acknowledge as essential in uplifting our humanity. Not necessarily in any religious sense; just simply sensed as "right" or "wrong" actions, i.e. measured in terms uplifting the dignity and worth of each person in the community. We may hear, "what can we do about it as individuals?" and that's our individual challenge which we need to face courageously. We can work on it alone or often identify and join similarly driven individuals/groups who authentically work for the "common good;" like vigilance for social justice, a good educational system, actively demand public service/morality, etc. Nowadays, we continually hear and read so much about corruption and declarations against our values made by others in private and public; but I feel and think we native Filipinos are often inclined to "not see" the corruption in our family or among our circle of relatives and friends. We would even join in their celebrations knowing that their booties were dishonestly obtained. We tend to see only corruption among people we do not like and/or outside our circles. With all the gross violations of justice and decency we are made aware of, we shrug our shoulders and say "it's the way the world goes." I admit that myself sometimes add "what's new?" We thus tend to be anesthetized by cynicism and be timid; therefore allow --by default, due to our inaction--- these violations to occur and recur. Our society long exposed to such recurrences become habituated and hardly notices them anymore or plainly ignore them. Ad nauseam. Of course, all the above are easy to say, but that's us humans; we are not angels and therefore we really need to work on them in whatever way we can, even as an individual because one's action has an impact on others, for good or bad. Here, hopefully we act for the good, for those that we value, ethically. Mere mea culpas and prayers, as we have been conditioned to do by our inherited religion, in all honesty, have not and do not work. BTW. By morality I refer to public service as it is theoretically taken as the primary reason for wanting public office, i.e. power to do good, so to speak. I add this qualification since anytime we use the term "morality," it seems people automatically think mainly of sexual morality. There's more to the term than genitalia. For those with honestly curious and open minds, here is a clear and profound conversation --without the technical jargons-- of Marxist economic analysis and solutions to the contradictions of the capitalist system and its end-game. Unfortunately and sadly, in our homeland Philippines we native Filipinos immediately equate socialism with communism; thanks to our Americanized educational system that helps perpetuate our "colonial mentality" and unquestioningly beholden to anything American; and our blind faith in the Catholic Church that makes us oppose any secular ideas. Thus, we native Filipinos as a people, despite our rich country, have/are still very poor and forever praying that God fix our national problems. We have been ignored by God, then and now. 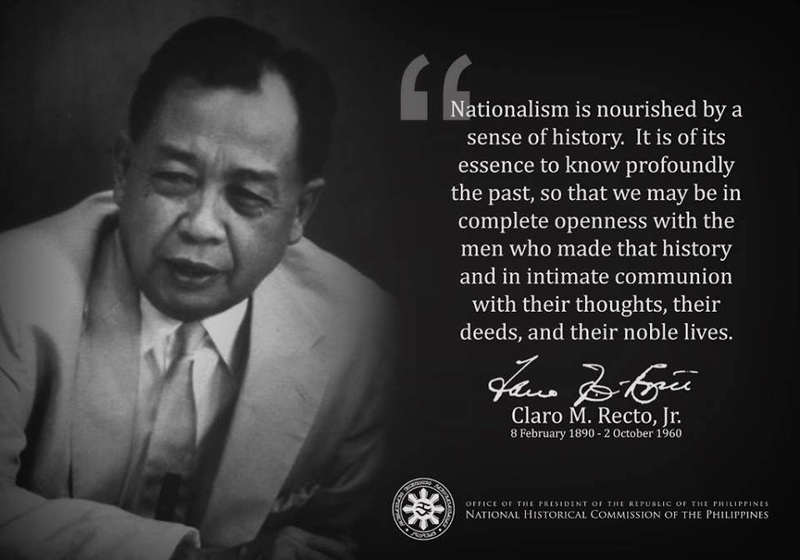 We native Filipinos never had the opportunity or desired to learn, know and understand; but just conditioned to automatically reject these two ideologies. Not ever realizing that most of the western world and others know and have both represented in their societies. From my readings and several travels to Europe, I feel and think the "Scandinavian variety" of Socialism shows the best results of this applied ideology. I add that whichever economic system in a country/nation, nationalism expressed through strong national consciousness and unity facilitates the system to function for the "common good.'" Despite a concerted effort by the U.S. Empire to snuff out the ideology, a 2016 poll found young Americans have a much more favorable view of socialism than capitalism. Though he died 133 years ago, the analysis put forward by one of the world’s most influential thinkers, Karl Marx, remains extremely relevant today. The Empire’s recent rigged presidential election has been disrupted by the support of an avowed socialist, Bernie Sanders, by millions of voters. To find out why Marx’s popularity has stood the test of time, Abby Martin interviews renowned Marxist economist Richard Wolff, Professor Emeritus of Economics at UMass - Amherst, and visiting professor at the New School in New York. Prof. Wolff gives an introduction suited for both beginners and seasoned Marxists, with comprehensive explanations of key tenets of Marxism including dialectical and historical materialism, surplus value, crises of overproduction, capitalism's internal contradictions, and more. An excellent read. I also found two of his other books similarly very enlightening ones. 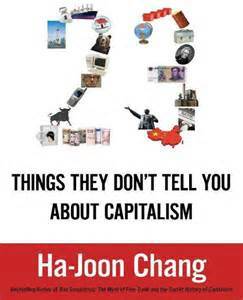 Ha-Joon Chang (Hangul: 장하준; Hanja: 張夏准; born 7 October 1963) is a South Korean institutional economist specializing in development economics. Currently a reader in the Political Economy of Development at the University of Cambridge, Chang is the author of several widely discussed policy books, most notably Kicking Away the Ladder: Development Strategy in Historical Perspective (2002). In 2013 Prospect magazine ranked Chang as one of the top 20 World Thinkers. He has served as a consultant to the World Bank, the Asian Development Bank, the European Investment Bank, as well as to Oxfam and various United Nations agencies. He is also a fellow at the Center for Economic and Policy Research in Washington, D.C. In addition, Chang serves on the advisory board of Academics Stand Against Poverty (ASAP). 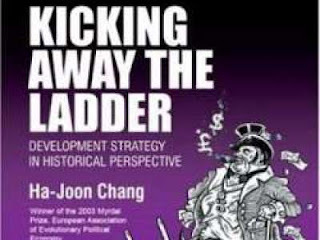 A South Korean acquaintance told me that despite his brilliance, Ha-Joon Chang can not work in South Korea because he does not kowtow to the official line of Globalization. In essence, the book "BAD SAMARITANS" highlights the historical facts that today's advanced countries got started with protectionism for several generations, for centuries. 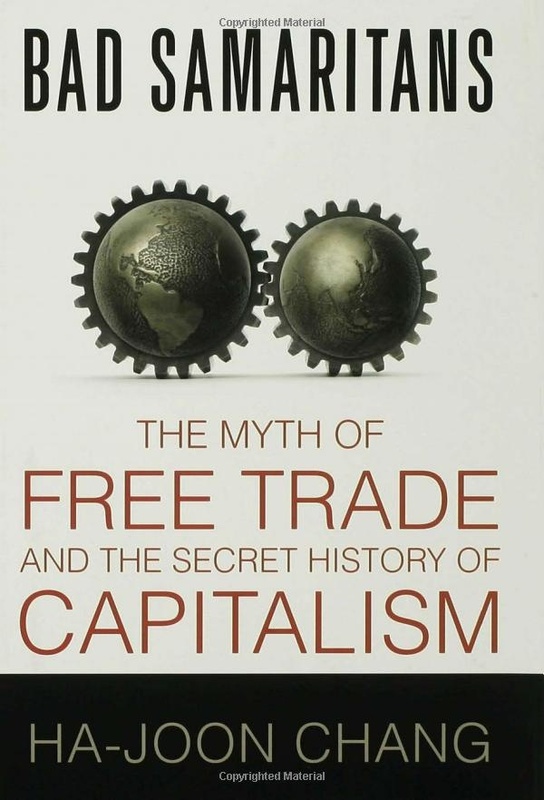 Only when they have become economically developed and thus powerful that they gradually declared and accepted "free trade." All these presently strong nations (note they are nations, not like us, we are not even a nation as we natives are not united to put it simply) were not engaged in free trade in their countries formative years. They all, with no exceptions, engaged in PROTECTIONISM for decades, centuries. England, USA, Japan, South Korea, Taiwan, mainland China, etc. For strong economies or advanced/developed countries that produce a lot of products, i.e. agricultural, industrial, consumer, etc.. the IMF/WB-sponsored WTO Agreements aka "Globalization" (almost absolute free trade) impose rules to all country-signatories that facilitate import/export trades by enforcing the removal of practically ALL protective trade barriers. i.e. tariffs, regulations, etc. Capital/money/financial flows or transactions among them are simplified; where before they took days or weeks, etc. now with IT, just a touch on the keyboard, so to speak. And it's not all about economics. People movement is also facilitated, open borders for work, visits, etc. So multiculturalism, multimedia, etc. became the fads and constant features. Anyway, those are the "good" sides/effects. IF you have a lot to offer for trading. Of course, advanced countries dominate, in particular the USA: economically, culturally, politically and militarily. These NAFTA and TPP are just two (regional) agreements. 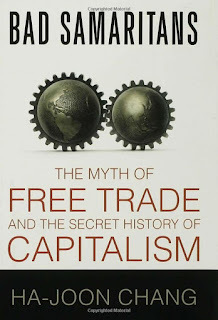 In fact, NAFTA as a beginning regional agreement on our side in the Americas (and much earlier EEC then for Western Europe) were precedents to what became the WTO-imposed trade agreements or simply "globalization" in 1995. Now, it seems regional and/or bilateral agreements in lieu of WTO/Globalization are coming back given the growing worldwide "discontents" about the latter. For poor countries like our homeland which was one of the early signatories to the WTO Agreements, with no established, significant/strong industrial and/or agricultural bases, it is like committing national suicide: economically, culturally, technologically, etc. The inherent weaknesses killed all our nascent industries, factory closures, mass layoffs, and our agriculture/farmlands that displaced farm workers, jobless and further driven to poverty, etc. (except corporate farming for export cash crops--domestic/foreign-owned) due to uncontrolled imports of all kinds, cheaper ones, questionable product qualities mostly from mainland China. I can go on and on. Ergo, the further impoverishment of our native majority. Throw in the uncontrolled loss of our patrimony/natural resources, gold, silver and other minerals. etc. to foreigners alone or in joint-partnership with our few, rich Spanish/Chinese mestizo oligarchs/taipans. Our gains in labor exports! Do we all want to leave our homeland? Of course, a few native Filipinos profit from globalization via their small export businesses. My take as a native Filipino is that we should have NOT joined WTO, as our country was economically very weak underdeveloped in 1995 when WTO was founded; when the Fidel Ramos regime was in power. But Fidel, Gloria Macapagal-Arroyo Penoy Aquino, Duterte and much of our business leaders and us so-called educated have been schooled in the American capitalist/free-market economy; which continue to do so in our present educational system. Under free trade, to repeat: you win if you are strong. If weak, you become weaker. Furthermore, we native Filipinos are NOT nationalistic. We do not seem to understand even the term. We have a colonial mentality that favors foreign products, primarily American as we have been conditioned to; per the 50-year US colonial rule which imposed free-trade between the Philippines and the USA and perpetuated even after "granting" of independence in 1946. via "Bell Trade Act/Parity Right." We native Filipinos and our homeland as poster boys for "neocolonialism" - colonialism without colonial administration and absence of colonial troops, but still a colony in practical reality and cheaper for the former colonizing power (USA)..
Ergo, no long-lasting industrial, capital goods manufacturing; except for a few consumer product-goods, were established and big agricultural lands 25-years leased at P1 per hectare (Del Monte, etc.) for cash agro products like banana, pineapple, etc. were granted. Talk of "Parity Rights." 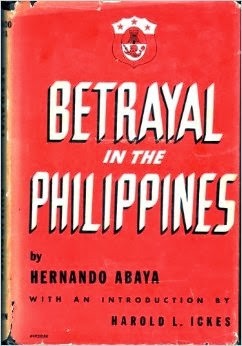 as a precondition to "granting" of Philippine independence in 1946. Sort of political independence, not economic independence. Without the latter, you really do not have the former. During my graduate school at UP Diliman, I never came across the German economist Friedrich List, who championed protectionism for weak countries. Interesting, I have talked with the few business and economic students here and in Europe and NOBODY knows about List! Even business and economic books do not mention him. I have a book titled "New Ideas from Dead Economists" and he is not even mentioned. Check it out in Eco textbooks. Makes me wonder at times, but we live in a predominantly capitalist world; more aptly now, corporate capitalism (not the small capitalist of Adam Smith or up to the vanished 1970s modern corporations. Sorry, I think I am got too long..
"...the freedom America gave us in 1946 was freedom in a straitjacket." - Hernando J. Abaya, author of "Betrayal in the Philippines" (1946); “The Untold Philippine Story" (1967), and “Looking Back in Anger” (1992).